Novetta has announced the appointment of Bill Varner, former president of ManTech’s Mission, Cyber and Intelligence Solutions Group, to its board of directors. 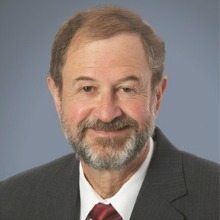 Varner brings 40 years of intelligence and defense industry experience, including cybersecurity, specialized system engineering, operations and mission support, enterprise IT and full-service security support, and the company is excited to welcome him to its board, said Novetta CEO Tiffanny Gates. Before ManTech, Varner was vice president of intelligence operations for Northrop Grumman TASC. He currently serves on the board of directors of the Virginia Tech Applied Research Corp. and is a member of the George Washington University National Advisory Council. He also works with several universities to advance the attractiveness, applicability and quality of cybersecurity engineering and policy education nationwide. Varner said he looks forward to helping the leadership team continue to grow and scale strategically. “I am honored to be joining the board of directors of Novetta and to be associated with an innovative leader in technology delivery to the national security community,” he said. Varner retired from ManTech in December 2017, and was praised by several peers in the intelligence and defense communities, including leaders with AT&T, Engility, Blackhorse and Noblis-NSP. Colleagues and competitors called Varner “warm, kind and genuine” and praised his integrity and team-building spirit. Kevin Heald,vice president of defense intelligence solutions at Novetta, recently spoke with WashingtonExec about his 2018 market outlook for the government contracting community, discussing machine learning and artificial intelligence, and the challenge of finding and retaining talent with security clearances.